In his works, Matthieu Martin often explores urban environments and the effect that certain interventions within an environment have on our own perception. In his eponymous long-term project Cover Up, which Martin started in 2009, the artist deals with the common practice of city cleaning companies to overpaint graffiti of any kind in order to seemingly making them disappear. Clearly, the authorities are not just aiming for invisibility of the illegal graffiti and a return to the clean wall, this process rather indicates a power play of municipal authority. The covered areas are far from discreet, their colour often contrasts with the prior wall paint or occupies large parts of the previously ‘daubed’ surface. Thus, they both withhold space for new graffiti and mark their own urban territory, creating a distinct aesthetic that Martin captured photographically over years in different cities. For Cover Up, la suite Martin projects two parallel running slideshows onto the wall of the exhibition space. 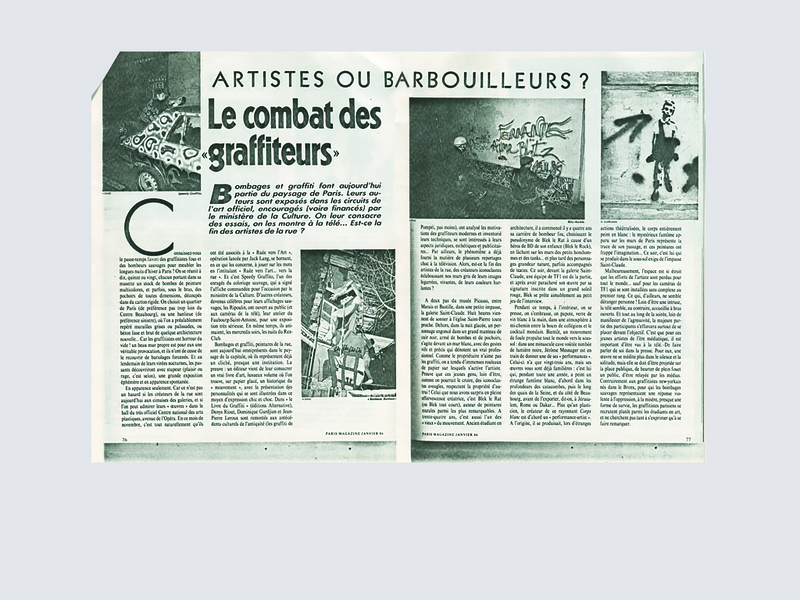 One presents 201 photographs that the artist took of such over-painted graffiti, the other shows 37 newspaper articles from 1981 to 2016 that make this particular form of removing graffiti their topic. 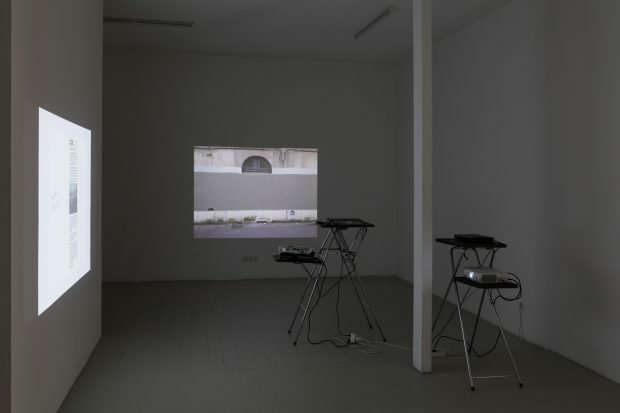 The projecting equipment remains visible within the exhibition space, emphasizing the juxtaposition of the textual approach towards this phenomenon and its visual opponent. 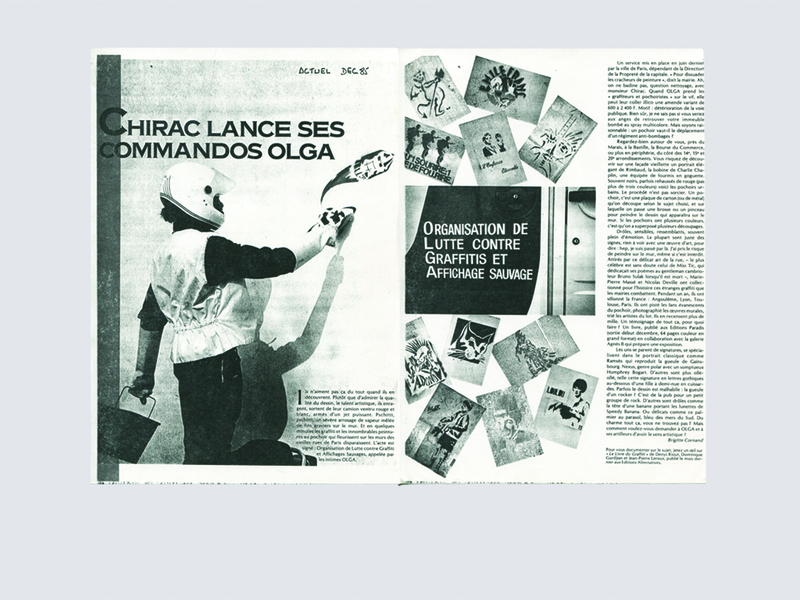 Similar to an archive the work offers an insight into a practice that emerged as an immediate reaction to a subculture and solely exists through its appearance.